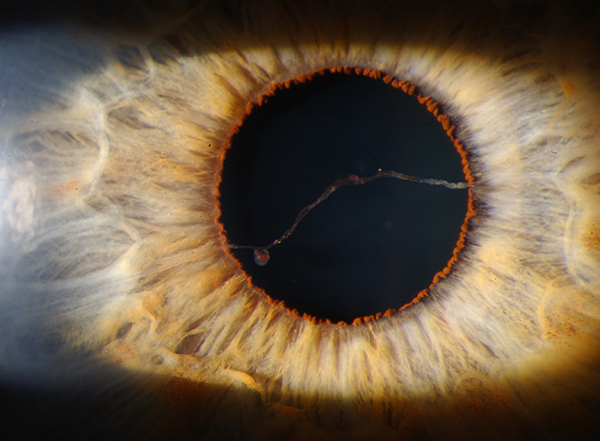 Photographer: Paula F. Morris, CRA, FOPS Moran Eye Center. 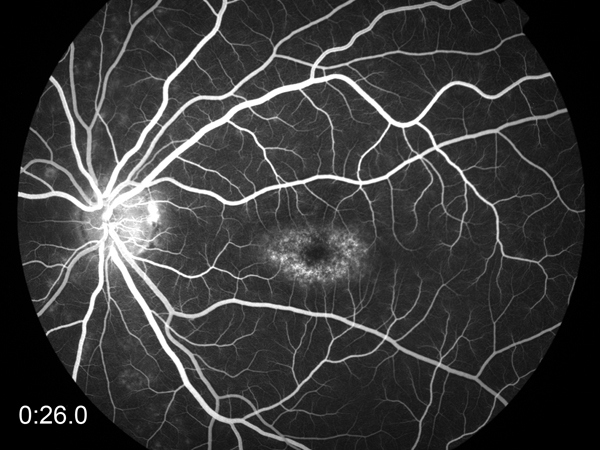 Venous phase fluorescein sodium angiogram of a dark choroid in Stargardt’s disease or fundus flavimaculatus. 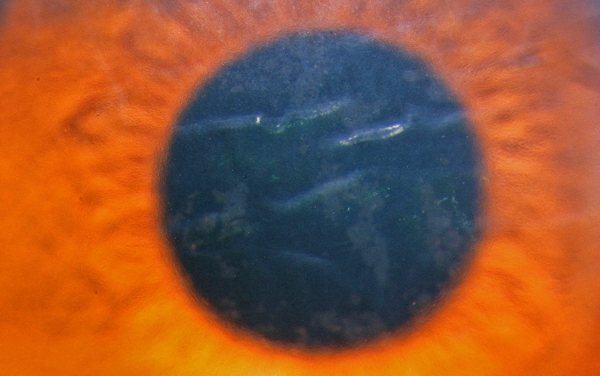 Stargart’s Disease is a progressive retinal degenerative disease caused by mutations in one of 3 genes, ABCA4, ELOVL4 or PROM1. 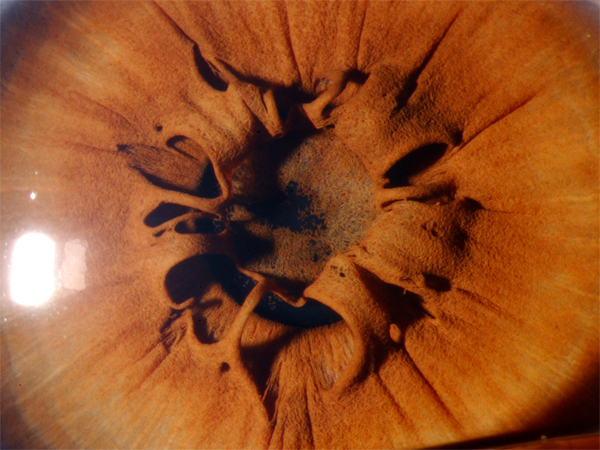 The disease is a form of juvenile onset macular degeneration affecting the retinal pigmented epithelium (RPE). The disease onset and progression is usually bilateral.